Surprise, surprise! 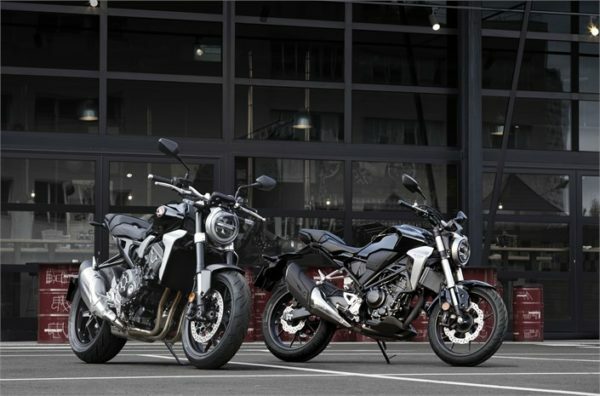 the Honda CB300R has been confirmed for India. It will be available for sale through the Completely Knocked Down (CKD) route for the Indian market and booking are now already open. 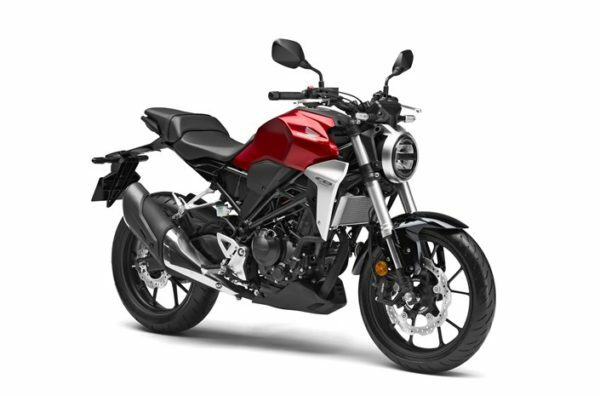 The Honda CB300R will be available in two colors i.e Matte Axis Gray Metallic and Candy Chromosphere Red. The bookings can be done at select Honda 2Wheeler dealerships across India for Rs. 5000 only. Tipping the scales at 143 kilos (wet), the Honda CB300R is powered by a 286cc, DOHC, liquid-cooled, single cylinder engine which cranks out 30.9 bhp @ 8,500rpm, with peak torque of 27.5Nm delivered @ 7,500rpm. 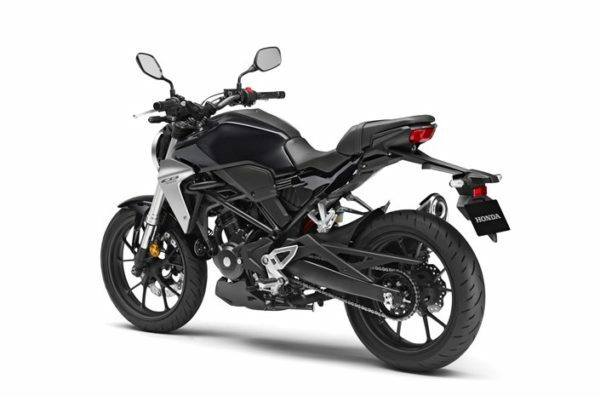 Mated to a 6-speed gearbox, the CB300R will cover 0-200m in 9.2s. Bore and stroke is set at 76 x 63mm, with a compression ratio of 10.7:1. A PGM-FI fuel injection – with 38mm throttle bore and straight-shot intake path – delivers crisp throttle response across the rev range. To keep maintenance costs low, the engine is also designed with the minimum number of moving parts. Details like the low-friction piston rings, high-density core radiator and iridium spark plug help increase fuel efficiency. Fitted with a 10-litre fuel tank and rated for fuel economy of 30.2km/l, the CB300R can cover over 300 km on a tankful. The bike is based on Honda’s new -Neo Sports Café design theme, which is a harmonious blend of the retro elements with ultra-modern styling. It is also the lightest motorcycle in its category. 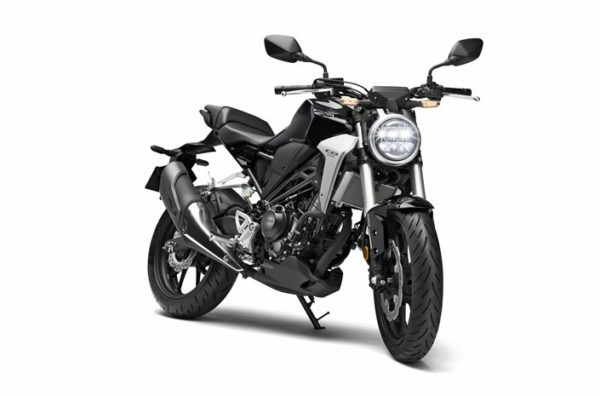 The CB300R’s frame is constructed with tubular and pressed steel; the swing arm is manufactured from steel plate, irregularly shaped in cross section, giving it a bespoke minimalist look. The single rear shock is 7 step adjustable, tapered handlebars ensure a 40 degree turning angle to make this a fun bike in the city. New designed exhaust pipes are based on NEO SPORTS CAFÉ DNA style, where the interior has a 2-room structure to make the bike sound good. Up front, 41mm Light-weight inverted front forks handle suspension duties and there are 296 mm disc brakes, mounted radially and bitten into by 4-pot calipers with an ABS G-Sensor. 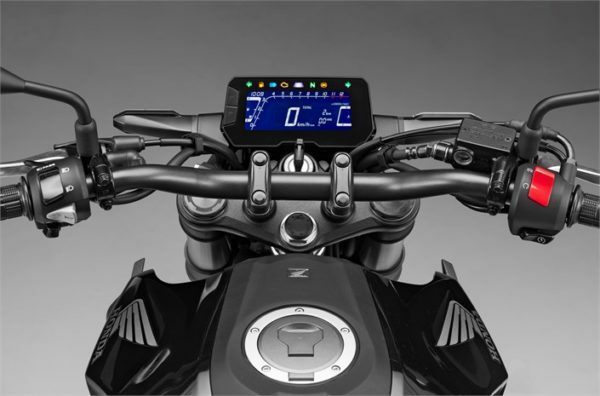 The high specification system gets an innovative IMU (Inertial Measurement Unit) to give precise front to rear distribution of ABS operation depending on the vehicle posture controlling the Roll, Pitch, Yaw of the Motorcycle – simply put a braking system which keeps the rider in complete control, even during sudden brake application. The console is minimalist and positioned for the rider to take a quick glance down at all the information – working eloquently during night or day. Full LED lighting – including indicators and a Round shaped thin LED headlight with a built-in signature horseshoe-shaped light guide take care of illumination.